Has anyone (especially) your parents ever told you this: “Think before you act?” Or “Look before you leap?” Not thinking through things can have serious ramifications and repercussions in your life than before. Funny story: I was 8 and during recess, I jumped off the swing. I jumped very high off the swing and landed hard on the ground. I broke my arm in three places and bones were sticking out. Gross, right? Was I thinking when this happened? NO! My inner child was like: “What’s the worst that can happen?” Anything! I have severely burned myself one time after taking hot tomato soup out of the microwave with no oven mitts on. Guess what happened next? I spilled the bowl and my right leg got burned pretty bad. The scar isn’t that bad and barely noticeable now. But it was a lesson learned the hard way: “Always think before you act.” Sometimes, I don’t think and I will end up injuring myself like getting a nasty cut in my left leg and that resulted into stitches and a tetanus shot because a rusty nail grazed me. Once, you’ve grown up and learned from those mistakes, it’s important to share those hard learned lessons to others. I was a teenager in the 90’s and early 00’s and I will admit that I was you atypical teenager. I was young, stupid, naïve and was interested in boys, parties and not school. If I could back and I would tell my inner teenage self to “Grow up”. My life would get worse during college and early adulthood. Cue the Triple Threat Disease. But I’m very grateful that I wasn’t a product of the Digital Era or especially a teenager now. With the addition of social media such as Facebook, Twitter, Instagram, Snapchat and others, I probably would’ve been one of those youngsters that would take selfies all day and spend hours perfecting my photos. Texting and driving is something that I would probably do if I was younger. When I had the old Nokia phone from the year 2000, you could text, but not as easy as it is now. Texts back then cost my phone bill a lot of money. This was way before I looked into getting a pre-paid unlimited plan that’s no more than $40 a month. What drives me nuts is the latest trends on Twitter or Instagram like “The _______ Challenge”. Granted the “Ice Bucket Challenge” was to raise awareness of ALS and I fully support that, but would I dump ice cold water on myself? NO. Unless it’s 100 degrees outside with humidity in Texas heat, then yes, dump ice cold water on me. When I heard about the “Tide Pod Challenge”, I said: “Who in their right mind came up with this?” I use Tide Pods only for laundry! And yes, I have two small dogs and they’re just like children. If you don’t put it away and out of their reach, then they will get into it. https://people.com/human-interest/girl-burned-in-fire-challenge/nd I was very upset by it. Again, I don’t follow the latest trends, but this one is very disturbing. I don’t know who comes up with these challenges and what kind of kick they get out of it, but THINK BEFORE YOU ACT. Do you know what happens when you bite into a Tide Pod? You get sick. You’re eating poison and your fatally killing yourself. Why would you do this? In this newest challenge, you take rubbing alcohol and rub it all over you and then set yourself on fire. WHY? Do you know what happens when you mix those two together? You get a fire. If that fire erupts on your skin, you’re entire body will be engulfed in flames. This young girl tried it and she ended suffering from severe burns over more than 50% of her body. Take a good look at the picture of her in the hospital and then look at her picture before. Because of her actions, her entire life is completely changed forever. She has to endure surgery after surgery to repair skin that was severely damaged in the fire. She’s on a ventilator and requires a feeding tube. As a parent, I would be in shock probably past the point of shock. Her mother did get burned in the process, but I can’t imagine the pain and agony that her family is dealing with. The point is, social media is dangerous. We’ve all seen what has happened to people who were bullied online and they’ve committed suicide. We’ve seen people meet others via the internet and that sometimes leads to their deaths. We’ve seen all kinds of challenges and the dangers of them. But what people really need to take stock is to think about what can happen when you’re on social media. Think about things before doing something. In school, there was a thing called “Critical Thinking” which was code for using your brain! If you were trying to solve a problem, you had to use your brain and think about the answer. It’s not like now where you can just “look up” the answer via the internet. I wish when I was in school. Social media is an important subject matter to talk to your children about. You will be surprised that this can be correlated with mental health issues. Spending too much time online and/or online gaming isn’t good. Taking selfies all day isn’t healthy at all. Social media and others that are online can influence anyone (I mean anyone!) to do something that they normally wouldn’t do. Social media education starts at home. It’s your choice to give your child an electronic device and it is your right to monitor their usage. Watch which sites they’re going on to and watch what they’re posting. I wouldn’t want my child to be watching videos of stupid stunts done by daredevils and then have them asking me if they can try that. The answer will always be no. The Challenges that today’s generation are doing need to stop and need to be closely monitored. Take the Fire Challenge, that girl’s life is different now than before. She will have a very long recovery, numerous hospital bills, numerous rehab visits and not to mention, long-term trauma. Her mental health will gradually decline before she even realizes it. If you saw yourself in mirror after being engulfed in flames, you would be mortified, wouldn’t you? Wouldn’t it make you sad, angry and depressed? Oh yes. Depression will rear its ugly head after a tragedy like that. 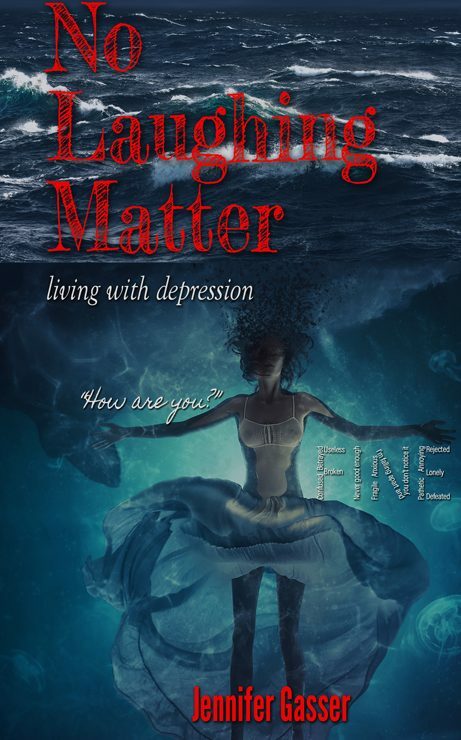 Depression is a serious matter and is usually lifelong. So why take the risk by doing a Challenge when it can cause serious damage let alone death? Why? We are not perfect and we all make mistakes. But really think about this disturbing trend and really read this story that I found. While it may be cool to have your own Facebook, Twitter and other accounts, the good side always goes with bad, too. If you see a Challenge from a friend or classmate, think about it, first. If you decide to do this, then think about how it affects not only you, but your family and everyone’s mental health. The most dangerous thing we can do is to be influenced by the wrong people and do things without thinking things through carefully.